Good news for Charlton lido swimmers as GLL announce extended weekday opening hours from this week. The pool will be open 6.45am to 8pm Monday to Friday, and 9am to 5pm on the weekend. This will be especially welcome for those swimmers whose working hours make it otherwise impossible to use the lido during the week. 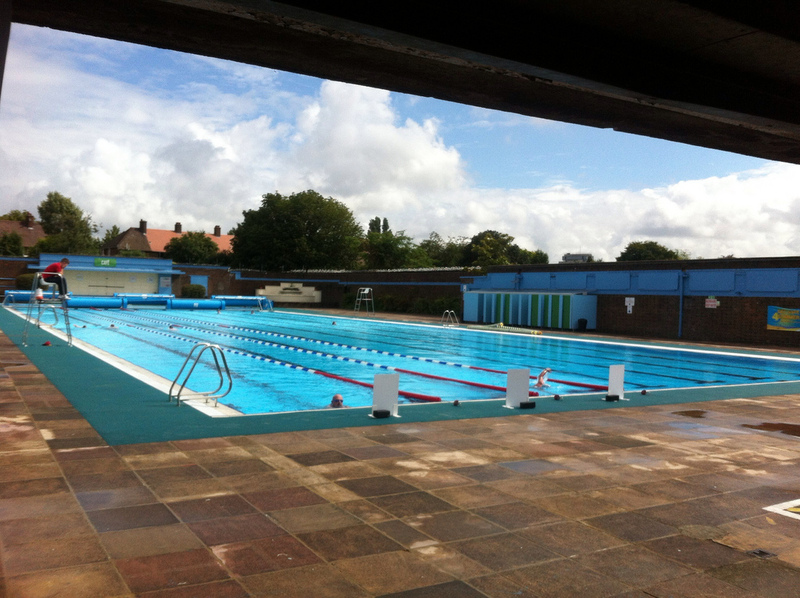 As London temperatures soar, there’s never been a better time to try Charlton’s outdoor pool. Last week GLL suggested on Twitter that opening hours would be extended once the refurbishment is completed, but was unable to confirm how late they’d be staying open. If you want to swim in the evenings beyond the summer, let them know. If feedback on this site and Twitter is anything to go by, there’s definitely demand for post-work swimming in SE7. As ever, we’re keen to hear your thoughts on the lido. Four months since its reopened it’d be interesting to get your feedback- let us know in the comments below! Used the lido for the first time yesterday and it was better than I expected. The only thing which really lets it down is the lack of anywhere comfortable to lie and watch the kids splash or catch a few rays. A towel laid on the concrete paving slabs doesn’t offer any comfort and made us want to leave much quicker than if it was something slightly softer. I understand that grass probably isn’t an option or the pool,l would end up full of it, just wondering if there is an alternative. Great local amenity though, looking forward to the end product.